A Cabbagetown landmark since 1888, “The Winchester” on Parliament Street, has served as a meeting place for the community. Over its many years it had undergone several unfortunate “modernizations”. The focus of our work was the recovery of the original brick wall at grade. The removal of the cladding uncovered a much damaged substrate that required rebuilding with matching salvaged face brick. Window openings at the ground level were enlarged and dressed with new rough-faced sandstone to match the original. New wood windows and entry doors were recreated from original photographs. In 2007 the Winchester Hotel won the Cabbagetown Preservation Association Restoration Award. Stanford Downey Architects Inc. has worked with York Heritage Properties, completing a variety of projects including: building utilization studies, heritage restoration, factory conversions into office space, life safety and barrier-free analysis and building retrofits. Following the decommissioning of the original central heating plant, it was demolished to grade retaining only its perimeter walls and smokestack. These were incorporated into an accessible patio garden with planting, seating, lighting, a sheltered area and the stack converted into a barbeque. This allowed for windows and doors from adjacent buildings to open directly onto the patio, but also the patio garden functions as a shared recreational amenity for all the surrounding buildings. This conversion of a former munitions plant into high-tech I.T. offices included a variety of buildings ranging from one to six stories requiring the restoration of brick, clay tile and metal clad exteriors and the upgrade of all window. New canopied entrance was created and internal barrier free ramps and washrooms were installed. Completed in 2010, this three storey listed heritage factory building has been adapted to offices and commercial space. It includes a new elevator for access to all floors including a unique rentable basement with perimeter skylit lightwells. A carefully designed brick addition was added to complement the existing façade. New historically correct industrial sash windows were installed. Barrier-free washrooms were added to each floor as well as making accessible the main entry. 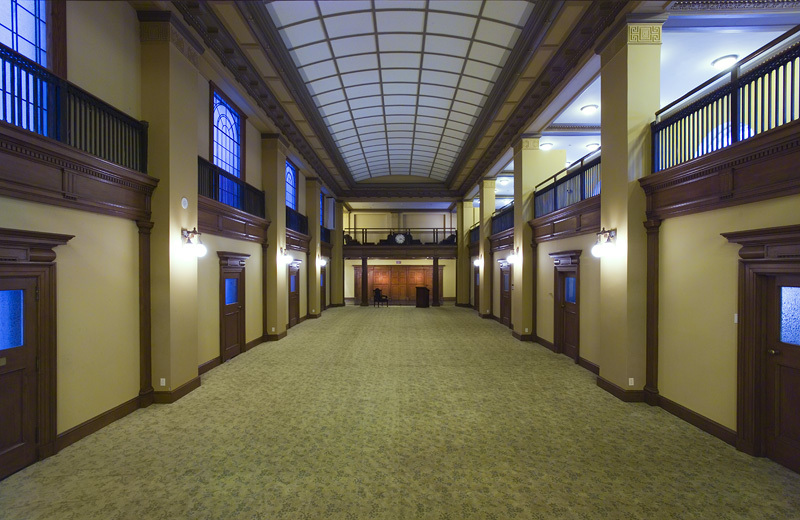 The Carpet Factory is York Heritage Properties’ flagship building. 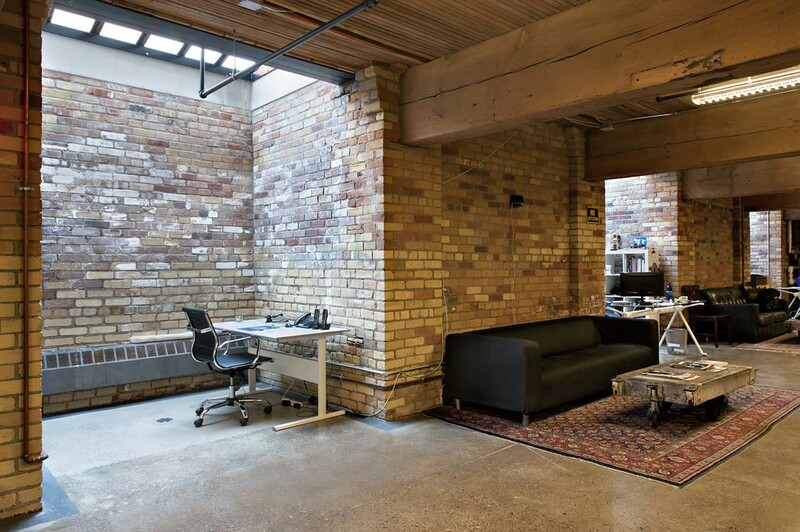 This 6 storey industrial building houses a variety of offices and uses. SDA Inc. has provided life safety and exiting studies, devised a system of structural glass guard rails installed at all mezzanines, a formal exterior stair and a new lobby with stairs and accessibility lift of a modern structural glass, metal and slate design, reached by means of a ramped landscaped exterior. Most recently, we have added a glazed barrel-vault canopy to our formal stair with new lights & doors to follow. 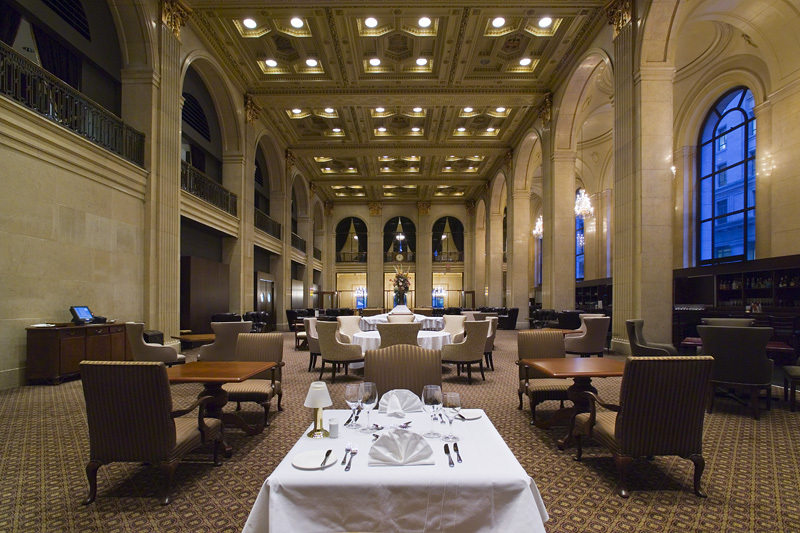 The restoration of 1 King Street West included the stabilization of the exterior terra cotta facade, the restoration of the historic banking hall (Great Hall), the historic Boardroom, as well as the famous vault and door. To accomplish the bringing back of these spaces involved a myriad of conservation and restoration techniques in marble, plaster, bronze and steel work. Most challenging was the introduction of modern materials and methods in the adaptation of this 1914 banking headquarters to its new function. From the incorporation of the 51 storey tower structure into the existing 12-storey bank building, to inserting a structural steel network to update its earthquake resistance, to the threading of kilometers of sprinkler lines and the installation of modern glass fire separations to satisfy stringent, current life safety demands, each of these were accomplished with a respect for the heritage fabric of the building always foremost. In the early 1960’s, a single storey, 7500 sq. ft. pro shop was built consisting of the shop, adjoining back shop and underground parking for golf carts. SDA were hired to enlarge the facility by 5000 sq. ft. to include an entry pavilion, offices and golf school. This included a second floor addition and full renovation of the pro shop which is designed to match the character of the main club building (circa 1913).